Authorities in the city of Shanghai have imposed a new rule on property ownership that had so far drawn criticism as it defies even the tradition of home ownership in China. As part of the tightening measures in Shanghai, authorities have disallowed non-locals from acquiring property if they are unmarried. This is against the tradition in China, which has been based on an old Chinese proverb: “Zhu Chao Yin Feng”, which encourages a nest first before attracting the phoenix. 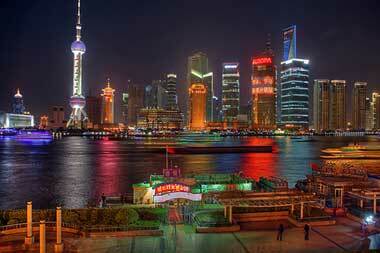 Now, this no longer holds in Shanghai, at least for those not born here. To further soften prices in the city of Shanghai, unmarried non-locals are now disallowed to buy a single property in accordance to the directive of Chinese Premier Wen Jiabao. This seems an uncompromising situation for single non-locals, who had been mostly drawn by work in Shanghai’s business districts. According to the 2010 statistics of the city, of the 23 million residents in the city, some 9 million are non-locals. In a related article by Bloomberg Businessweek, an interview with Mr. Zhao, a software engineer considers this new rule quite unfair because he is still preparing for his marriage next year. He said that he has to make his girlfriend’s family understand that this is the policy in Shanghai and they have to follow it before securing a home as a couple. In 2011, city authorities in Shanghai limited the home ownership of locals. The qualified non-local residents with families were limited to one home. The unmarried ones, who can prove they have been paying taxes for a year were allowed to acquire property, but nowadays this privilege has been shelved by authorities. According to Hong Kong-based Mizuho Securities Asia Ltd, China has been after first class landmark cities to control prices from further escalating. In June this year, sales rose 24% to 8,365 units in the city of Shanghai, according to Century 21 China Real Estate data. This is the highest recorded sales in 17 months by Century 21, which is considered the second biggest property brokerage firm in China.